Gather your friends and celebrate your Birthday like a Rock Star at Hyde Beach at SLS Hotel! Leave all the planning to one of our experienced VIP Hosts who will handle all the details of the night to ensure that you and your guests have the ultimate Hyde experience! VIP Services include no wait, front-of-line privileges and a personal VIP Host that can answer all your questions. The minimum spend is based on the number of people in your group. Please inquire for pricing and reservations and a VIP Host will contact you immediately. 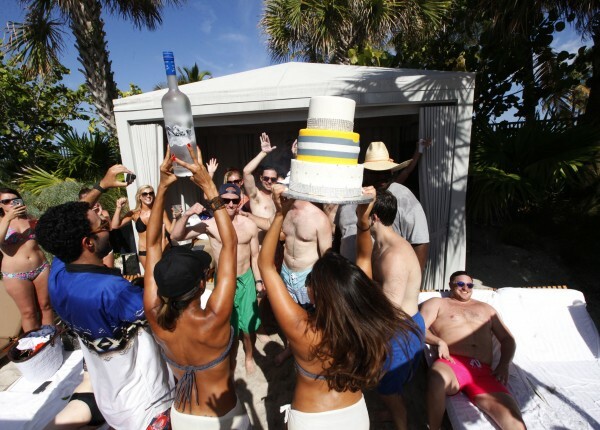 Gather your crew and celebrate your Birthday like a Rock Star at Hyde Beach at SLS Hotel! Leave all the planning to one of our experienced VIP Hosts who will handle all the details of the day to ensure that you and your guests have the ultimate Hyde experience! VIP Services include no wait, front-of-line privileges and a personal VIP Host that can answer all your questions. The minimum spend is based on the number of people in your group. Please inquire for pricing and reservations and a VIP Host will contact you immediately. Must be 21+ to purchase and present valid ID upon entry. E-mail hyde.southbeach@sbe.com or call 305-455-2990 to book now.